Cops For Kids, Inc.: Our mission is to provide financial assistance to non-profits dedicated to children. We believe that community programs targeted at our youth can make a true impact on children’s growth, development and future success. Our goal is to help organizations with an official 501 (c)(3) non-profit status formed to assist children to achieve their mission and start new community programs. We will accomplish this through fund raising projects. The Cops for Kids Bass Tournament began as a fund raiser for the Make-A-Wish Foundation and the Missouri Water Patrol Association in 2005. 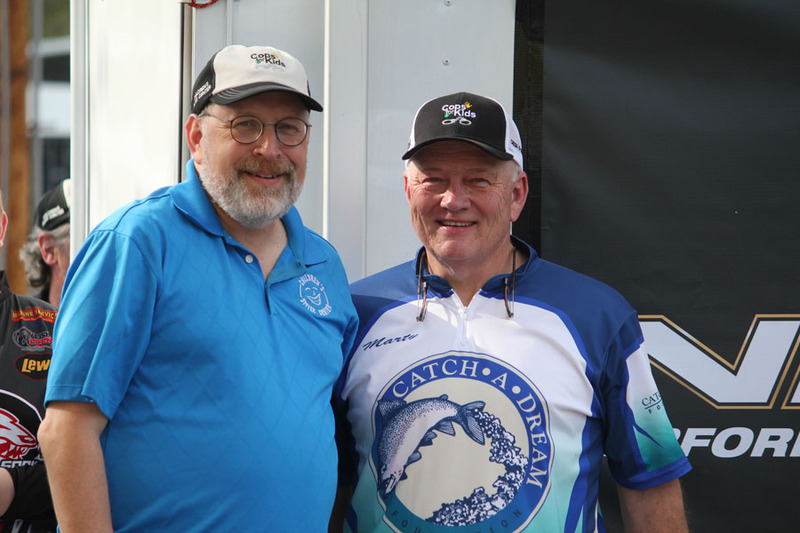 The hard work of Ron Kelley, a water patrol officer from Table Rock Lake, and Kevin & Laura Watson, of Bass Boat Magazine, brought the tournament to where it is today. The first 5 years were only open to law enforcement officers. It began as a way for officers to have a fun day fishing, see old friends, and maybe win a small prize or some prize money, but most importantly for the kids! Each year the tournament has grown in sponsorship, entries, and prize money. But most importantly, the donations to the Catch a Dream Foundation and Children’s Smile Center have grown every year! These past tournaments, to date, have helped raise over $156,000.00 for all of our non-profits combined. In 2010 the tournament opened up to all public safety professionals (firemen, EMS personnel, and law enforcement officers) and will continue to be open to such personnel. In 2011, with the dissolution of the Missouri Water Patrol Association, Ron, Kevin and Laura resurrected the “Cops For Kids” tournament by incorporating it as a Non-Profit organization (501 (c) (3). Therefore, Cops for Kids is now an independent Incorporation! In 2014, a public announcement was made that Cops For Kids Bass Tournament was changed from requiring participants to be in Public Service to an Open Buddy tournament which allows anyone who qualifies to enter the event. The more entries, the more prize money and more money for the kids. We thank all the past and present entries! You are what makes the tournament a success! If you haven’t fished it in the past, grab a partner and join in the fun!